"Terror Has a Reflection All its Own." 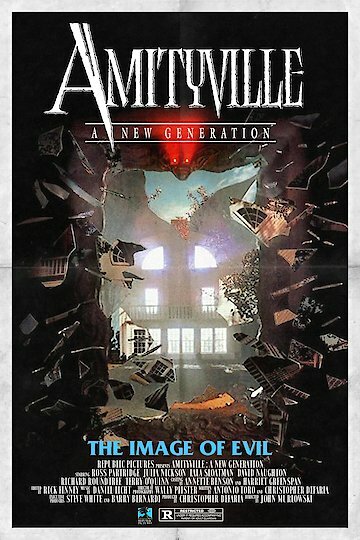 Amityville: A New Generation is a horror movie. This is the story of a mirror from a badly haunted house. Amityville had a house so haunted the residents could not stay. Eventually some relics and furniture from this haunted house made their way into the world at large. One of these items is a mirror. When a photographer is given the mirror he unknowingly passes the horror on to a friend. People have looked into this mirror and committed suicide because of what they've seen. Sometimes items are given with the best intentions. Intentions can still pave the way to a very dark place. Amityville: A New Generation is currently available to watch and stream, download on demand at Amazon Prime online.